This morning is one shining example. 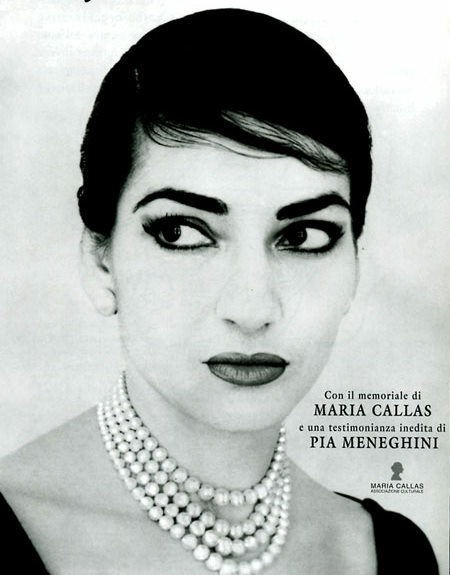 I was rushing to Starbucks to get my daily infusion of caffeine, and happened to catch the last half of Lynn Neary’s story about Maria Callas, “The Voice of Perfect Imperfection,” one in a series on 50 Great Voices that will continue every Monday for the rest of 2010. To choose the 50 voices, NPR asked for listener nominations, used an interactive roundup so folks could listen to voices submitted by listeners and critics, then selected seminal voices in every musical genre, ranging from Sam Cooke, Mahalia Jackson and Ahmad Zahir to Iggy Pop. To flip on the radio to WABE, my local NPR station www.pba.org and randomly hear Callas singing “Habanera” from Bizet’s Carmen was thrilling. I don’t even like opera much, but to hear the story unfold was riveting, and I can’t wait til next Monday so I can hear more of the 50 Greats. 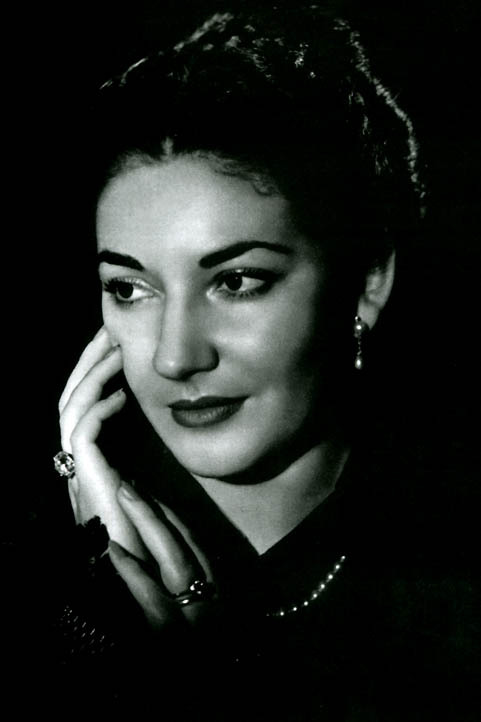 Born in 1923 on Long Island to Greek parents who had a pharmacy in Manhattan, Callas had her first piano lesson at nine, moved back to Greece with her mother, and entered the Conservatoire in Athens at 15. She made her professional operatic debut at 18, auditioned and didn’t make the Metropolitan Opera at age 22, and in her early 30s, blazed a meteoric trail across Europe and America, singing a wide range of roles that showed off her unmatched ability to plunge into the emotional heart of the music. 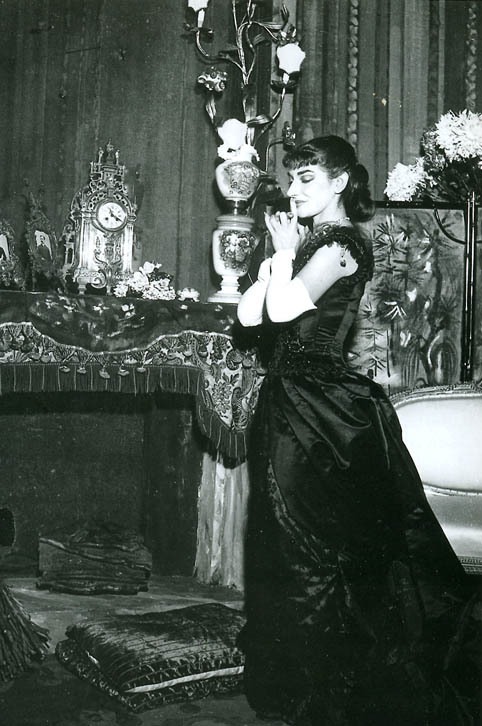 Callas had an equally dramatic life off-stage – marrying her first mentor and manager, Giovanni Meneghini in Verona in 1949. Eight years later in Venice, Callas met Aristotle Onassis and within two years, she was his lover and her marriage to Meneghini was over. 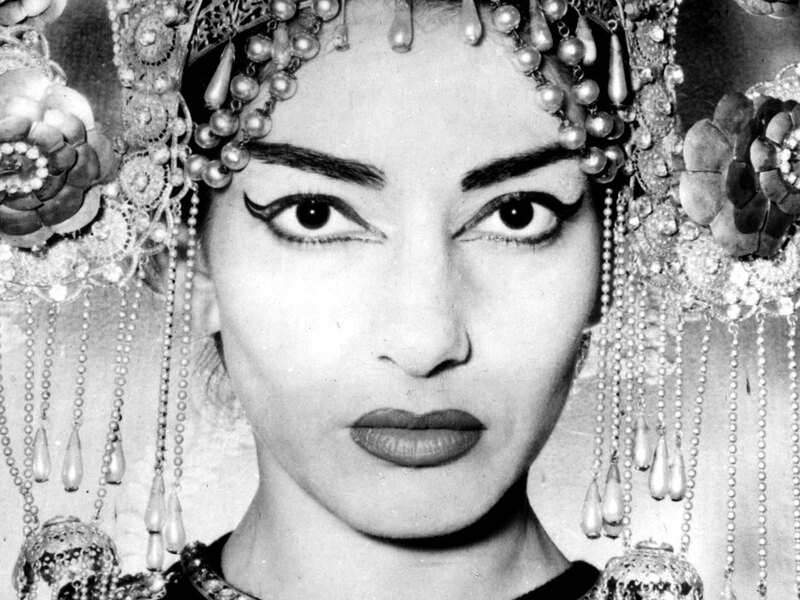 A tempestuous drama queen in every sense of the word, in one year alone, Callas walked off the stage in Rome in front of the Italian president, quarreled with the director of La Scala in Milan, and was fired by the Met. By her 40s, her voice was starting to fail and she left the stage to jet-set around the world with Onassis, only to make a triumphant return to the Met in 1965 for a few brief performances, before she virtually collapsed, making her final operatic performance at the Covent Garden in London at the age of 42. After Onassis publicly jilted Callas to marry Jacqueline Kennedy in 1968, her artistic decline continued until she became a virtual recluse in Paris where she died in 1977. NPR spent 7 minutes and 20 seconds extolling the incredible voice of Maria Callas – making me a member of their venerable “driveway” audience, with stories that make you sit there in your car listening, well after you’ve gotten where you going. When anything keeps me from my coffee, you know it’s got to be good.